*Balance of Manufacture Warranty!! Please call us for Details! * 216.553.4885, No Accidents Clean Carfax, 1-Owner, BLUETOOTH/Hands Free, SATELITE RADIO, Keyless Entry, Cruise Control. CARFAX One-Owner. Clean CARFAX. 32/26 Highway/City MPG Odometer is 1896 miles below market average! Priced below KBB Fair Purchase Price! 2018 Summit White Chevrolet 4D Sport Utility Equinox LT FWD 6-Speed Automatic Electronic with Overdrive 1.5L DOHC Here at Maserati of Cleveland our Pre-Owned vehicles go through a Full Multi-Point Inspection to ensure the quality and integrity of the vehicle. Every Pre-Owned vehicle will also have a Full Detail done upon arrival to our facility. Upon Arrival please ask your Sales Professional for the Inspection and Carfax Report. Cleveland, Northeast Ohio, Middleburg heights, Parma, Streetsboro, Akron, Hudson, Pennsylvania, Volkswagen, Jetta, Golf, Tiguan, Touareg, Atlas, Bernie Moreno, Bob Laughton, Dominic Cinalli, Used, Certified, Parts, Service, Finance, Luxury, Affordable, Lease, Authorized Dealer, Trade, Convertible, SUV, Car Loan, Financing, Community, Charity, Review, Comparison, Consumer, For Sale, Guide, Car, Automobile, Performance, Dealership, Purchase, Acura, Audi, Bentley, BMW, Buick, Cadillac, Chevy, Chevrolet, Chrysler, Dodge, Ford, GM, GMC, Honda, Hyundai, INFINITI, Jaguar, Jeep, Kia, Land Rover, Lexus, Mazda, Mercedes, Mini, Nissan, Porsche, Ram, Saab, Subaru, Toyota, Volvo. *Balance of Manufacture Warranty!! Please call us for Details! *, No Accidents, Clean Carfax Report, AWD, USB / AUX INPUTS, XM Radio, Keyless Entry, BLUETOOTH/Hands Free, ABS brakes, Electronic Stability Control, Illuminated entry, Low tire pressure warning, Remote keyless entry, Traction control. 2.5L 4-Cylinder DOHC Dual VVT-i 6-Speed Automatic AWD 22/29 City/Highway MPG Thank You for viewing our vehicle. Maserati of Cleveland has a full line of vehicles both NEW and Pre-Owned. If you would like to see our full line of vehicles please visit us at www.maseratiofcleveland.com. As a long time staple in the community we at Maserati of Cleveland would like to be recognized as a place of surprise and delight, where world-class, engaged team members, regardless of their role, take complete ownership of our clients experience with the goal of creating a life-long positive memory. Cleveland, North Olmsted, Westlake, Strongsville, Hunting Valley, Bentleyville, Gates Mills, Hudson, Brecksville, Avon, Motorsports, Rolls Royce, Wraith, Ghost, Dawn, Aston Martin, Vantage, Vanquish, Vulcan, Valkyrie, DB9, Volante, Rapide, Maserati, Ghibli, Quattroporte, GranTurismo, Levante, Certified, Used, Bentley, Lamborghini, Ferrari, Land Rover, Cadillac, Mercedes, Porsche, AMG, Parts, Service, Finance, Luxury, Exotic, Dominic Cinalli, Lease, Authorized Dealer, trade, Convertible, Cabriolet, Executiv Car Loan, Community, Charity, Flight Plan, Review, Comparison, Supercar, for sale, guide, car, automobile, automotive, industry, performance, dealership, purchase. No Accidents, Clean Carfax Report, Heated Front Seats, Moonroof/Sunroof, AWD, USB / AUX INPUTS, Leather Seats, Keyless Entry, BLUETOOTH/Hands Free, Cruise Control, Power Locks, Power Windows, SATELITE RADIO. 2.4L I4 DOHC 16V i-VTEC 5-Speed Automatic AWD 22/30 City/Highway MPG Thank You for viewing our vehicle. 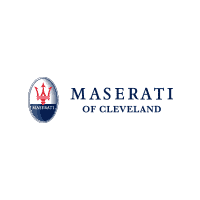 Maserati of Cleveland has a full line of vehicles both NEW and Pre-Owned. If you would like to see our full line of vehicles please visit us at www.maseratiofcleveland.com. As a long time staple in the community we at Maserati of Cleveland would like to be recognized as a place of surprise and delight, where world-class, engaged team members, regardless of their role, take complete ownership of our clients experience with the goal of creating a life-long positive memory. Cleveland, North Olmsted, Westlake, Strongsville, Hunting Valley, Bentleyville, Gates Mills, Hudson, Brecksville, Avon, Motorsports, Rolls Royce, Wraith, Ghost, Dawn, Aston Martin, Vantage, Vanquish, Vulcan, Valkyrie, DB9, Volante, Rapide, Maserati, Ghibli, Quattroporte, GranTurismo, Levante, Certified, Used, Bentley, Lamborghini, Ferrari, Land Rover, Cadillac, Mercedes, Porsche, AMG, Parts, Service, Finance, Luxury, Exotic, Dominic Cinalli, Lease, Authorized Dealer, trade, Convertible, Cabriolet, Executiv Car Loan, Community, Charity, Flight Plan, Review, Comparison, Supercar, for sale, guide, car, automobile, automotive, industry, performance, dealership, purchase. *Balance of Manufacture Warranty!! Please call us for Details! *, No Accidents Clean Carfax, 1-Owner, AWD, 18" AMG® Twin 5-Spoke Wheels, COMAND Navigation, Control Code, Electronic Trunk Closer, Hands-Free Access, harman/kardon® Logic 7® Surround Sound System, Heated Front Seats, KEYLESS GO Package, KEYLESS GO®, Mirror Package, Multi-Year Update, Power Folding Mirrors, Power Rear Window Sunshade, Power Tilt/Sliding Panorama Sunroof, Premium Package, Rear Spoiler, SIRIUS Satellite Radio, Split-Folding Rear Seats, Sport Package. CARFAX One-Owner. Clean CARFAX. 28/20 Highway/City MPG 2016 Black Mercedes-Benz 4D Sedan E-Class E 350 4MATIC® 4MATIC® 7-Speed Automatic 3.5L 6-Cylinder DOHC Reviews: * Broad range of engine choices; quiet, upscale and well-built interior with a roomy backseat; long list of standard safety and technology features. Source: Edmunds Here at Volkswagen of Streetsboro our Pre-Owned vehicles go through a Full Multi-Point Inspection to ensure the quality and integrity of the vehicle. Every Pre-Owned vehicle will also have a Full Detail done upon arrival to our facility. Upon Arrival please ask your Sales Professional for the Inspection and Carfax Report. Cleveland, Northeast Ohio, Streetsboro, Akron, Hudson, Pennsylvania, Volkswagen, Jetta, Golf, Tiguan, Touareg, Atlas, Bernie Moreno, Chris Resek, Dominic Cinalli, Used, Certified, Parts, Service, Finance, Luxury, Affordable, Lease, Authorized Dealer, Trade, Convertible, SUV, Car Loan, Financing, Community, Charity, Review, Comparison, Consumer, For Sale, Guide, Car, Automobile, Performance, Dealership, Purchase, Acura, Audi, Bentley, BMW, Buick, Cadillac, Chevy, Chevrolet, Chrysler, Dodge, Ford, GM, GMC, Honda, Hyundai, INFINITI, Jaguar, Jeep, Kia, Land Rover, Lexus, Mazda, Mercedes, Mini, Nissan, Porsche, Ram, Saab, Subaru, Toyota, Volvo. Heated Front Seats, NAVIGATION W/backup Camera, AWD, USB / AUX INPUTS, BLUETOOTH/Hands Free, SATELITE RADIO, PANO Moonroof/Sunroof. 2.0L I4 TwinPower Turbo 8-Speed Automatic Steptronic AWD 21/28 City/Highway MPG Thank You for viewing our vehicle. Maserati of Cleveland has a full line of vehicles both NEW and Pre-Owned. If you would like to see our full line of vehicles please visit us at www.maseratiofcleveland.com. As a long time staple in the community we at Maserati of Cleveland would like to be recognized as a place of surprise and delight, where world-class, engaged team members, regardless of their role, take complete ownership of our clients experience with the goal of creating a life-long positive memory. Heated Front Seats, NAVIGATION, Moonroof/Sunroof, USB / AUX INPUTS, Leather Seats, Keyless Entry, BLUETOOTH/Hands Free, Cruise Control, Power Locks, Power Windows, SATELITE RADIO. EcoBoost 1.5L I4 GTDi DOHC Turbocharged VCT 6-Speed Automatic FWD 25/37 City/Highway MPG Thank You for viewing our vehicle. Maserati of Cleveland has a full line of vehicles both NEW and Pre-Owned. If you would like to see our full line of vehicles please visit us at www.maseratiofcleveland.com. As a long time staple in the community we at Maserati of Cleveland would like to be recognized as a place of surprise and delight, where world-class, engaged team members, regardless of their role, take complete ownership of our clients experience with the goal of creating a life-long positive memory. Cleveland, North Olmsted, Westlake, Strongsville, Hunting Valley, Bentleyville, Gates Mills, Hudson, Brecksville, Avon, Motorsports, Rolls Royce, Wraith, Ghost, Dawn, Aston Martin, Vantage, Vanquish, Vulcan, Valkyrie, DB9, Volante, Rapide, Maserati, Ghibli, Quattroporte, GranTurismo, Levante, Certified, Used, Bentley, Lamborghini, Ferrari, Land Rover, Cadillac, Mercedes, Porsche, AMG, Parts, Service, Finance, Luxury, Exotic, Dominic Cinalli, Lease, Authorized Dealer, trade, Convertible, Cabriolet, Executiv Car Loan, Community, Charity, Flight Plan, Review, Comparison, Supercar, for sale, guide, car, automobile, automotive, industry, performance, dealership, purchase. *Balance of Manufacture Warranty!! Please call us for Details! *, No Accidents Clean Carfax, 1-Owner, AWD, USB / AUX INPUTS, BLUETOOTH/Hands Free, Cruise Control, Power Locks, Power Windows, SATELITE RADIO. 2.5L I4 DOHC 16V CVT with Xtronic AWD 25/32 City/Highway MPG Thank You for viewing our vehicle. Maserati of Cleveland has a full line of vehicles both NEW and Pre-Owned. If you would like to see our full line of vehicles please visit us at www.maseratiofcleveland.com. As a long time staple in the community we at Maserati of Cleveland would like to be recognized as a place of surprise and delight, where world-class, engaged team members, regardless of their role, take complete ownership of our clients experience with the goal of creating a life-long positive memory. Cleveland, North Olmsted, Westlake, Strongsville, Hunting Valley, Bentleyville, Gates Mills, Hudson, Brecksville, Avon, Motorsports, Rolls Royce, Wraith, Ghost, Dawn, Aston Martin, Vantage, Vanquish, Vulcan, Valkyrie, DB9, Volante, Rapide, Maserati, Ghibli, Quattroporte, GranTurismo, Levante, Certified, Used, Bentley, Lamborghini, Ferrari, Land Rover, Cadillac, Mercedes, Porsche, AMG, Parts, Service, Finance, Luxury, Exotic, Dominic Cinalli, Lease, Authorized Dealer, trade, Convertible, Cabriolet, Executiv Car Loan, Community, Charity, Flight Plan, Review, Comparison, Supercar, for sale, guide, car, automobile, automotive, industry, performance, dealership, purchase. ABS brakes, Alloy wheels, Electronic Stability Control, Heated door mirrors, Illuminated entry, Low tire pressure warning, Moonroof Package, Power moonroof, Remote keyless entry, Traction control. 2.5L I4 SMPI DOHC 6-Speed Automatic FWD 25/35 City/Highway MPG Thank You for viewing our vehicle. Maserati of Cleveland has a full line of vehicles both NEW and Pre-Owned. If you would like to see our full line of vehicles please visit us at www.maseratiofcleveland.com. As a long time staple in the community we at Maserati of Cleveland would like to be recognized as a place of surprise and delight, where world-class, engaged team members, regardless of their role, take complete ownership of our clients experience with the goal of creating a life-long positive memory. Cleveland, North Olmsted, Westlake, Strongsville, Hunting Valley, Bentleyville, Gates Mills, Hudson, Brecksville, Avon, Motorsports, Rolls Royce, Wraith, Ghost, Dawn, Aston Martin, Vantage, Vanquish, Vulcan, Valkyrie, DB9, Volante, Rapide, Maserati, Ghibli, Quattroporte, GranTurismo, Levante, Certified, Used, Bentley, Lamborghini, Ferrari, Land Rover, Cadillac, Mercedes, Porsche, AMG, Parts, Service, Finance, Luxury, Exotic, Dominic Cinalli, Lease, Authorized Dealer, trade, Convertible, Cabriolet, Executiv Car Loan, Community, Charity, Flight Plan, Review, Comparison, Supercar, for sale, guide, car, automobile, automotive, industry, performance, dealership, purchase. Heated Front Seats, NAVIGATION, Moonroof/Sunroof, AWD, Leather Seats, Keyless Entry, Cruise Control, Power Locks, Power Windows. 3.5L V6 DOHC Dual VVT-i 24V 5-Speed Automatic with Overdrive AWD 19/24 City/Highway MPG Thank You for viewing our vehicle. Maserati of Cleveland has a full line of vehicles both NEW and Pre-Owned. If you would like to see our full line of vehicles please visit us at www.maseratiofcleveland.com. As a long time staple in the community we at Maserati of Cleveland would like to be recognized as a place of surprise and delight, where world-class, engaged team members, regardless of their role, take complete ownership of our clients experience with the goal of creating a life-long positive memory. Cleveland, North Olmsted, Westlake, Strongsville, Hunting Valley, Bentleyville, Gates Mills, Hudson, Brecksville, Avon, Motorsports, Rolls Royce, Wraith, Ghost, Dawn, Aston Martin, Vantage, Vanquish, Vulcan, Valkyrie, DB9, Volante, Rapide, Maserati, Ghibli, Quattroporte, GranTurismo, Levante, Certified, Used, Bentley, Lamborghini, Ferrari, Land Rover, Cadillac, Mercedes, Porsche, AMG, Parts, Service, Finance, Luxury, Exotic, Dominic Cinalli, Lease, Authorized Dealer, trade, Convertible, Cabriolet, Executiv Car Loan, Community, Charity, Flight Plan, Review, Comparison, Supercar, for sale, guide, car, automobile, automotive, industry, performance, dealership, purchase.